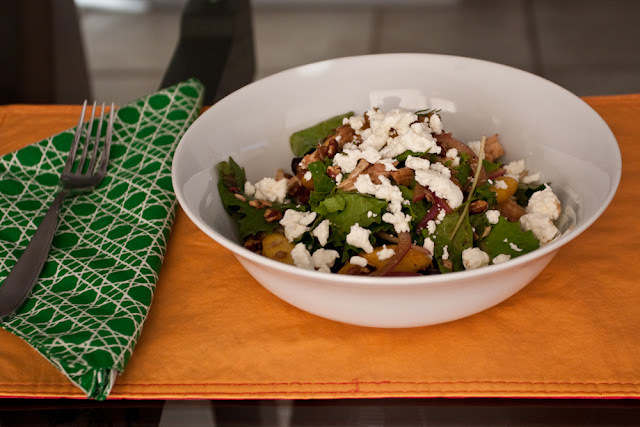 The summer Max and I were married (2009) I came across this recipe in Cooking Light for peach salad. I was obsessed with it. All the ingredients just work (I often omitted the chicken and served it as a side salad - with the chicken, it's a whole meal!). I made the salad probably ten times just in the first month. I think I might have overdone it because I had no desire to make it the next couple summers. This summer came around, however, and I knew I had to have it again! 1. Combine first 8 ingredients; stir with a whisk. 2. Combine chicken and remaining ingredients except cheese in a large bowl. Add vinegar mixture; toss gently. Sprinkle with cheese. 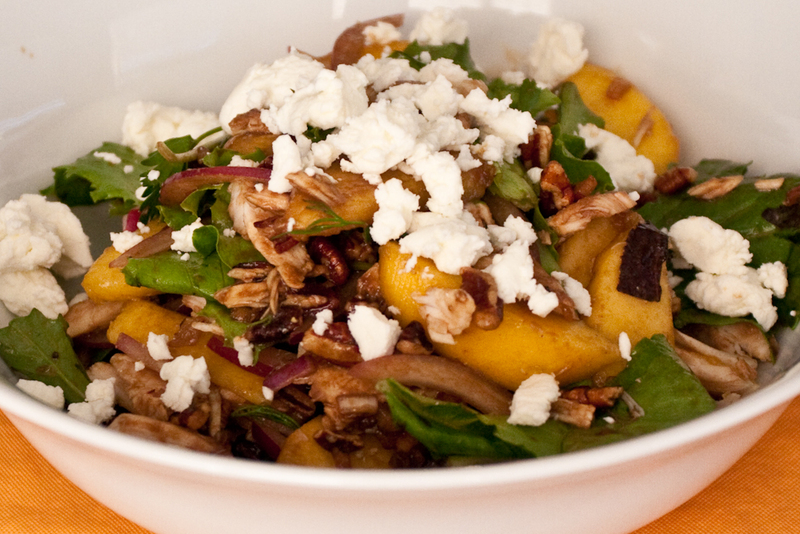 *In my opinion, the effort of making the dressing from scratch, peeling the peaches, toasting the pecans etc. is totally worth it! This salad is amazing. The making of the Roast Chicken Salad was looking so good.. And nice sharing of this recipe among all the chicken Recipes.